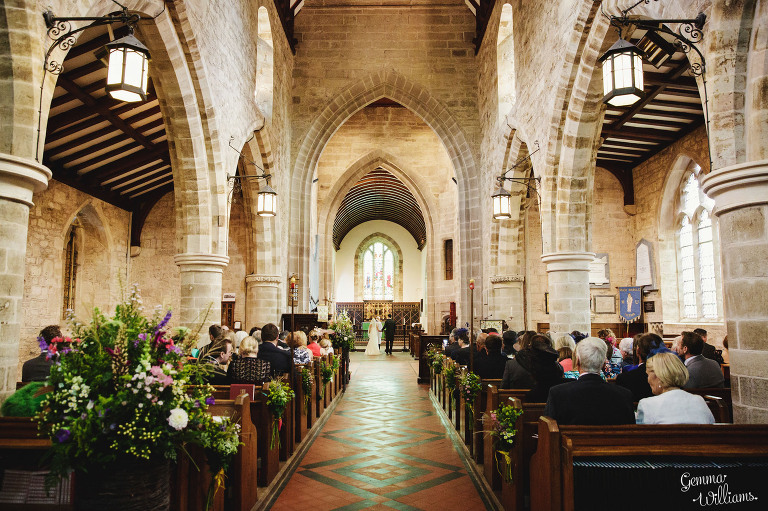 If you are looking around for Herefordshire wedding venues at the moment, then congratulations! Exciting times ahead! I am a wedding photographer based in Herefordshire and I know Homme House very well, so I wanted to help make the decision process a little easier for you by showing you, in pictures, how your wedding day there could look. If you are looking for a wedding photographer for your wedding here, please do have a look at my website after you have read through my guide to Homme House! Homme House is located in the countryside at Much Marcle, Herefordshire. With origins dating back to the early 1500s, Homme House is an elegant Grade II listed country house set in 100 acres of beautiful parkland and woodland. 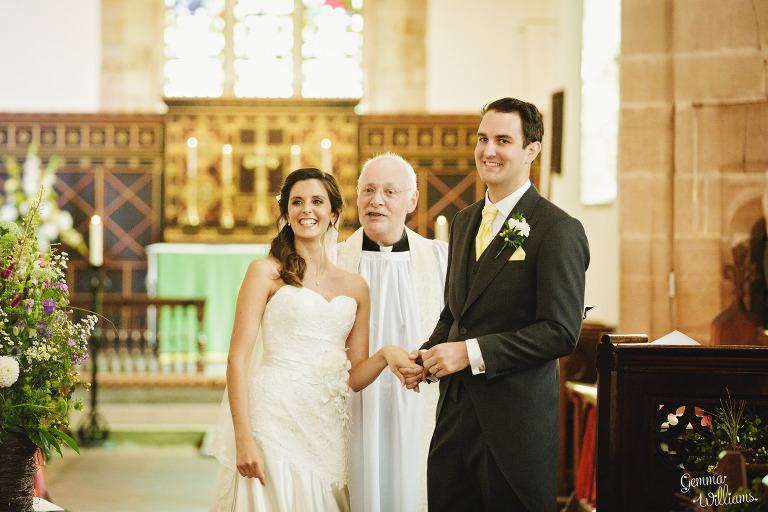 It is lovingly run by Jocelyn and her husband John, and their family. Homme has a fascinating history, with the current red brick and stone facing dating from the mid-nineteenth century, but with the oldest wing dating back to the 1500s still visible. Such a warm and friendly family welcome is provided at Homme House, that you really do feel as if it is your own home for your wedding day, and I always enjoy photographing weddings here because of the wonderful setting and the fabulous homely atmosphere the place has. The four internal reception rooms available downstairs include the Hall, the Library, the Panelled Room and the Dining Room. A marquee can be added for larger weddings if wished. Upstairs there are a number of bedrooms for family and guests, with a large and spacious Bridal Suite perfect for the bride to get ready in on the wedding morning. 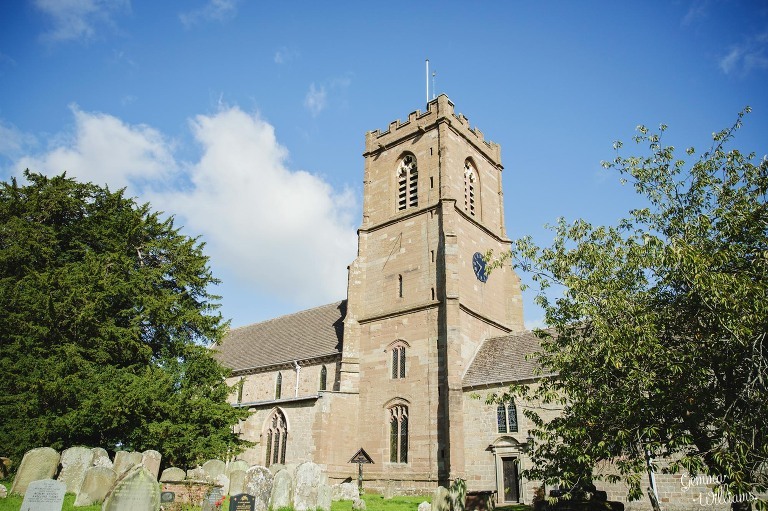 The house is licensed for Civil Ceremonies, or you can be married in the parish church of St Bartholomew which is located on the edge of the park. You can also now get married in the gardens at the gorgeous Grade I listed Summer House outside. The gardens have recently undergone extensive improvements and are a perfect backdrop for your wedding photographs, with plenty of colourful flower borders, trees, a rose garden, dovecote, and a wildflower meadow. Couples who are married at Homme House become part of the ‘family’, and it really is a very special place to celebrate your wedding day. The Bridal Suite at Homme House is very light and spacious, with a four-poster bed and a dressing table. The huge windows have views over the gardens, and provide plenty of lovely natural light for your hair and makeup professionals, and for your photographer. The bride can then descent the beautiful curved staircase and head off to where the wedding ceremony is taking place. For those wishing to hold their wedding ceremony at Homme House, the Paneled Room is licenced for marriages and can seat approx 90 guests. It has original Georgian panelling and a very grand Jacobean fireplace. The light colour of the panelling and the full length windows make this a very light, welcoming and pretty room for your ceremony. You could alternatively have your ceremony in the Dining Room, which can seat up to 120 guests. The church of St Bartholomew is just a short drive (or a longer stroll) across the estate’s parkland. Outside the church porch there is an ancient hollow elm tree which is said to be hundreds of years old. Inside, the church is very spacious and has plenty of room to seat all your guests. Usually, the bride enters the south porch at the start of the ceremony, and then the bride & groom exit through the west door at the end of the ceremony. You can now also get married in the garden at Homme House, by the historic 17th century Summer House! This structure is licenced for marriage ceremonies so you wouldn’t need to go elsewhere to make your marriage legal. Having an outdoor wedding ceremony in the beautiful gardens with such a unique setting and those wonderful views across to the Malverns would really be very special. You could have your guests line up and throw confetti as you exit the church gate, as you leave the summer house, or you could make your exit from the front of the house at Homme with your guests around the steps waiting for you! Homme House has lovely gardens and views for your guests to enjoy as they mingle and chat in the grounds in the warmer months. It makes a beautiful setting for you to meet with everybody and have lots of natural photographs taken of the hugs, fun and laughter. It is possible to have croquet and other garden games on the lawn, and guests might like to go exploring the rose garden and the walled garden. In the less warm months, or for rainy days, Homme House has space for your guests to mingle indoors instead, in the Library and Hall, and Panelled Room. Homme House provides the perfect backdrop for any more formal photographs you might like to have done. I especially love going off with the bride & groom for as much or as little time as you like, giving you the opportunity to have some moments together exploring the beautiful gardens and enjoying your wedding bubble. The walled garden, rose garden, secret sunken garden, wildflower meadow and woodland areas are all wonderful photo spots. There are plenty of flowers and trees, as well as walls, gates, rustic doorways and archways and the Summer House to make your photos look stunning. I love to capture all of this as naturally as possible so that you will love your pictures when you look back on them in the years to come. The dining room at Homme House can seat up to 100 guests for wedding breakfast. You can decorate the room however you wish, and with it’s huge bay window and impressive fireplace, it makes it an inviting and homely setting to enjoy your first meal together as husband and wife. You can position your top table however you wish – most go for a top table across the length of the bay window, but you could also put it infront of the fireplace. Homme House are very flexible to accommodate your needs. For larger weddings, the wedding breakfast can be held in a marquee on the lawn, which adjoins the house. This can seat around 140 guests. In the summer months the side panels can be opened up to make it feel like you are sitting outside in the gardens! There is plenty of scope for you to add plenty of decoration here to make your wedding personal to your own style. The band or DJ can set up in the Panelled Room or in the Dining Room (depending on where you’re having your wedding breakfast). 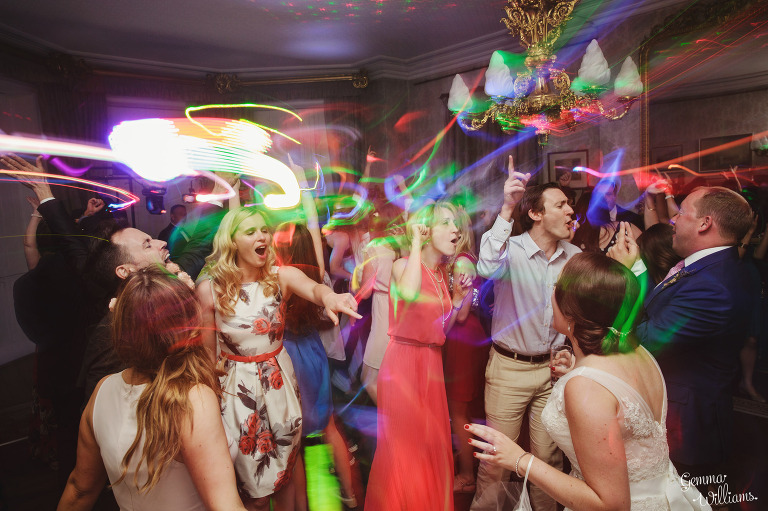 You can be announced in for your first dance, and then all your guests can join you on the dance floor! A bar can be set up in The Hall so that the fun can keep going all evening. If some guests would rather have a little more peace to chat, there is still the cosy Library with it’s fireplace to sit by, or the Dining Room (if not being used for the dancing). Enjoy the rest of the evening as the sun sets on your amazing wedding day! I hope you have found this guide and photographs helpful in your hunt for a Herefordshire Wedding Venue!